The only fanlisting for the character of "Toad" from the movie "X-Men (2002)" listed at the Fanlistings.org in the Characters: Book/Movie category. 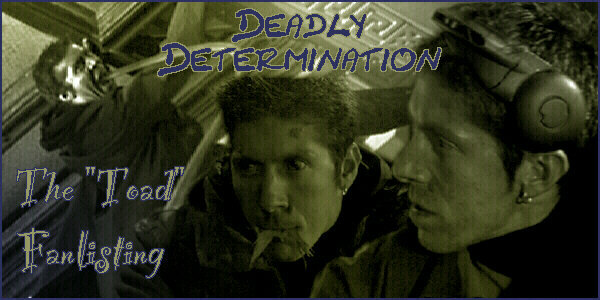 A not too wordy character (portrayed by Ray Park) who has unfortunately not nearly enough scenes. But despite the limited screen time he made the impression to be a very fascinating character. I'm sure despite not appearing in the sequels, the character still has a lot of admirers, so if you happen to like this character, please join. This fanlisting was last updated 13th March 2019 and has a total of 71 members from 14 countries with 0 awaiting for approval. About 0.01 fans per day have joined since the fanlisting was opened on the 13th November 2005. The fanlisting is maintained by Barbayat with the aid of Enthusiast, PHPCodeSort 1.6 and other sources.